Knee ligaments, illustration. 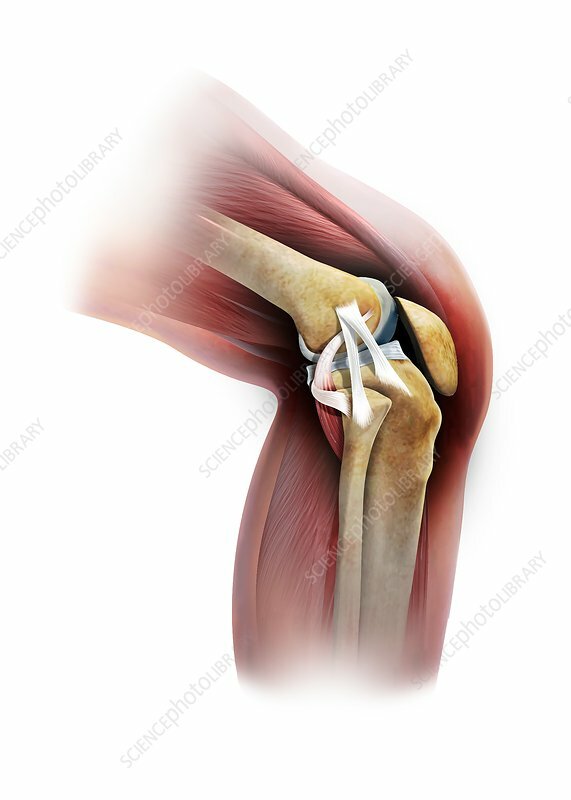 The ligaments (white) shown here, on the outer (lateral) side of the knee, include the anterolateral ligament (ALL) and the fibular collateral ligament (FCL; also known as the lateral collateral ligament, LCL). Ligaments are fibrous connective bands that connect bones to other bones. The ALL joins the femur and tibia. The FCL joins the femur and fibula. Also shown here are the popliteofibular ligament and the tendon of the popliteus muscle. The knee cartilage pads are also shown.